What It’s About: Disgraced secret agent George Smiley (Gary Oldman) must find out who the mole in MI6 is. Why Watch it Today? : Control (John Hurt) is fired on this date in the film. 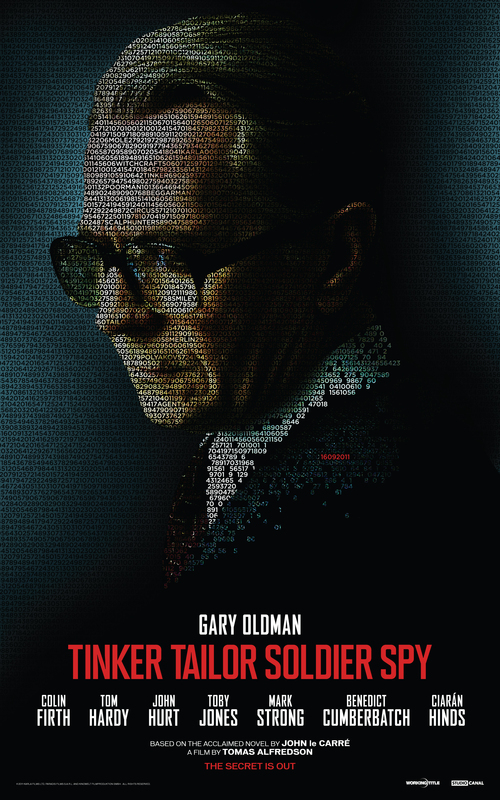 Tinker Tailor Soldier Spy is an excellent, cerebral thriller from author John Le Carre and director Tomas Alfredson of Let the Right One In, with an excellent cast. This entry was posted in Adaptation, Based on a Book, Espionage, Movie of the Day, Mystery, Remake, Thriller, Whodunnit and tagged adultery, Benedict Cumberbatch, Best Actor Nominee, Best Adapted Screenplay Nominee, Best Original Score Nominee, Britain, Canal+, Christmas Party, Ciaran Hinds, Cold War, Colin Firth, double agent, double cross, Gary Oldman, John Hurt, John Le Carre, Mark Strong, MI6, party, Soviet Union, Soviets, Stephen Graham, Studio Canal, Toby Jones, Tom Hardy, Tomas Alfredson, Working Title Films. Excellent pick. This one’s up there with The Conversation as one of my favorite “almost pure spy” genre flicks.